Earlier Babylonians had Place value system but they were not consistent. They used “ “ and (space) to denote 0. They would right 108 as 1”8 or 1 8 but they didn’t follow it always especially when 0 use to come at the end. So for them 180 was written as 18 and hence there was no differentiation for 180 and 18. Mayan although had separate symbol for 0 (Shell) but they did not follow the place value system to great/perfect extent and also because of their geographical location their numerals could not reach the European and Asian world and by 1200 AD, the Hindu numerals (0-9) were spread across the Arabs and Europeans. Kalakriyapda (The Reckoning of Time) : Different unit of time and their division (days, months, years) according movement of celestial bodies. Aryabhata mentioned 1st ever sine (jya) table for 25 values in just 1 stanza. “Add four to 100, multiply by eight, and then add 62,000. ((4 + 100) × 8 + 62000)/20000 = 62832/20000 = 3.1416. Aryabhata could calculate 1 day as 23:56:4.1 and the modern value is 23:56:4.091. Also the length of year as 365 days, 6 hours, 12 minutes, and 30 seconds while modern value is 365 days, 6 hours, 9 minutes, and 10 seconds which are very close to each other. Because of his immense contribution in the field of astronomy, 1st Indian satellite was named after him. Aryabhata is regarded as one of the greatest mathematician and astronomer ever lived. Varahamihira (505 – 587 AD) lived in Ujjain which was center of Hindu mathematics at that time. Very less is known about Varahamihira in terms of mathematics but he and his son made huge contributions in terms of astrology, astronomy and mathematics. He is well known for 2 books ‘Pancha Siddhantika’ which had topics on mathematics and astronomy and ‘Brihat Samhita’ had information related to planetary movements, astrology, human interest like relations, architecture, precious stones, etc. 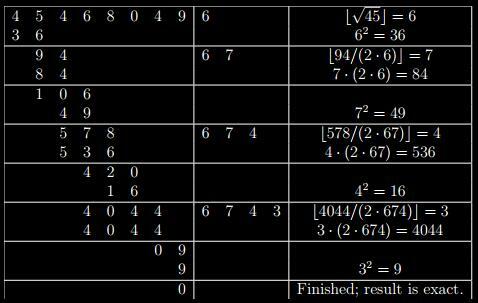 Varahamihira improved the accuracy of the sine tables of Aryabhata I and calculated the binomial coefficients, known in the European civilization as Pascal’s triangle. Although Varahamihira had not much contributions in mathematics as compared to others but he was very influencial in the school of Ujjain and had influence on Brahmagupta who studied in same school. Brahmagupta (598 – 668 AD) was born in Bhinmal town of Rajasthan. It is however said that he lived and worked later in Ujjain where Varahamihira worked previously. He had large contribution in the field of mathematics and astronomy and was best known for his work in ‘Brahmasputa Siddhanta’ in the year 628 AD. He along with Bhaskara I were the 1st to use the ‘0’ symbol in their respective Siddhantas. Brahmagupta stated the rules to work with zero and negative numbers. The product of zero multiplied by a debt or fortune is zero. The product of zero multiplied by zero is zero. The product or quotient of two fortunes is one fortune. The product or quotient of two debts is one fortune. The product or quotient of a debt and a fortune is a debt. The product or quotient of a fortune and a debt is a debt. But he was wrong when it came to concept of division by 0, he said “Zero divided by zero is zero“(Later corrected by Bhaskara II). Brahmagupta calculated the area of cyclic quadrilateral (quadrilateral inscribed in a circle) which is very similar to that Herons for triangle. “If a cyclic quadrilateral has diagonals which are perpendicular, then the perpendicular to a side from the point of intersection of the diagonals always bisects the opposite sides”. Apart from mathematics he had also good amount of contribution in astronomy and science.Along with lunar and solar eclipses, Brahmagupta states that Moon is closer to Earth than Sun, earth is round else trees would have fallen from earth. He also states Gravitional Force as “Bodies fall towards the Earth as it is in the nature of the earth to attract bodies, just as it is in the nature of water to flow”.It is believed that Arabs have learnt from Brahmagupta. Muhammad al-Fazari translated Brahmugupta’s work into Arabic and which gave rise to Arab astronomy and their calendar. Bhaskara I (600 – 680 AD) was born in Parbani district of Maharashtra. He wrote commentary on Aryabhatiya in 629 and named it as Aryabhatiyabhashya which had contents/comments on Aryabhata’s work of mathematics and astronomy. He also wrote 2 more books called as Mahabhaskariya and Lahubhaskariya which were again had topics of mathematics and astronomy. Bhaskara along with Brahmagupta were the the 1st to make use of number ‘0’ in their mathematical books and like Aryabhata categorized pi as irrational number. sin x = 16x (π – x)/[5 π2 – 4x (π – x)] for the angles between 0 and 90 degrees which reveals a relative error less than 1.9%. He also had contribution in other mathematics topics like solving linear equations, quadratic equations, indeterminate equations, etc and in astronomical topics like determining longitudes of planets, association of planets with each other, Eclipses, Rising and setting phenomenon of sun, etc. Mahavira (around 850 AD) was a jain mathematician from Gulbarg town of Karnataka. He wrote a book on mathematics called ‘Ganita Sarasangraha’. Because of his work he became very popular in south in those days. He was the 1st to tell that square root of negative number does not exist. He provided the volume of sphere as 9/2 * (d/2)3 which is very close to the actual volume 9/10 * 9/2 * (d/2)3. He provided formulae to calculate area and perimeter of cyclic quadrilateral along with that of ellipses. where x & y are the diagonals and a, b, c & d are sides of cyclic quadrilateral. Mahavira knew that the quadratic equation have 2 roots. Bhaskara II or Bhaskaracharya (Bhaskara, The Teacher) (1114 – 1185 AD) was born in Vijayawada, Karnataka. He was the head of astronomical observatory in Ujjan, the leading mathematical center of ancient India. He was mathematician and an astronomer and is considered as one of the greatest mathematician along with Aryabhata and Madhava. Bhaskara II dealt with arithmetic, algebra, solving equations, trigonometric and differential calculus. Bhaskara had shown very good amount of work related to calculus. Bhaskara used his vital mathematical on astronomy to calculate exact astronomical quantities. Lilavati and Bijaganita together had considerable amount of mathematics like algebra, geometry, basic arithmetical operations like multiplication, division, squaring , square roots, rules of division by 5,7 etc; solving linear, quadratic and cubic equations; plane and solid geometry; Arithmatic and geometric progressions, Estimation of pi, working with negative numbers and Zero; Surds; also solving the indeterminate equations of 1st (‘Kuttaka’) and 2nd order (‘Chakraval’). He also worked with polygon having more than 96 sides and thus arriving at very good approximation of pi as 3.141666. Bhaskara II also worked on calculus almost 500 years before Newton. He is particularly known for the discovery of the principles of differential calculus and its application to astronomical problems and computations. He was the first to conceive the differential coefficient and differential calculus. Bhaskara II died in year 1185 and this brought to the end of Golden Era (Classical Age) of Mathematics. Around that time there was continuous invasions by Mughals, and hence life of people especially in northern and central part of India was disturbed and hence mathematics dried in these areas. But South India was not affected and mathematics now started growing in the southern part of India (Indian Medieval Period).